Earlier this year, I wrote a story about the five reasons to own BP plc (ADR) (NYSE:BP). The very first reason I listed for holding BP stock was the possibility that Exxon Mobil Corporation (NYSE:XOM) would buy the British oil giant for as much as $150 billion. Since the piece was published March 29, the BP stock price is up 27%, with just four days of trading left in 2017. It’s pummeling its integrated peers, who as a group have averaged 6% year-to-date through December 21, far less than BPs 16% total return, its second consecutive year of gains. There haven’t been any rumblings of a merger since early summer, so I’m not sure investors want to pin their hopes on a splashy takeover delivering a third consecutive year of positive returns. No, if BP stock is going to hit the trifecta in 2018, BP must deliver BP (“better profits”) in the coming year. I don’t see why it can’t. 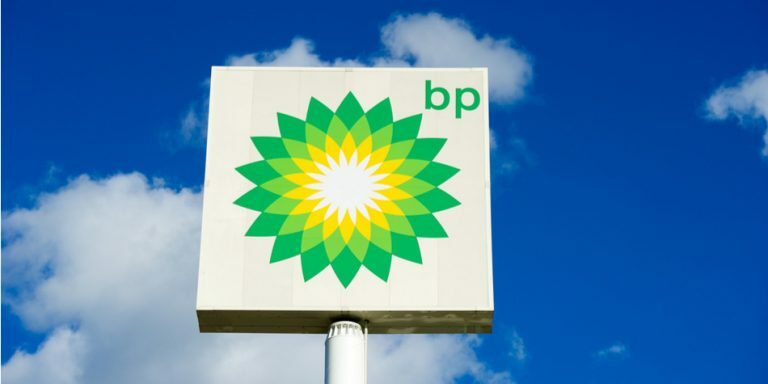 Earlier in December, InvestorPlace’s Lucas Hahn argued that although the company’s finances had improved over the past year, BP stock remained a poor investment, citing the possibility of a weaker global economy putting the boots to oil prices. Personally, I don’t see this happening in 2018, given the Trump tax cuts will immediately put money in the hands of the middle class — what happens in 2019 and beyond is another matter altogether — who will spend it on gas to travel this summer. I don’t see demand subsiding, at least here in North America. Free cash flow was another one of my five reasons to buy BP stock. At the time I wrote my article, it had adjusted free cash flow of $1.8 billion. Through the first nine months of 2017, BP’s free cash flow was $6.2 billion ($17.9 billion operating cash flow excluding Gulf of Mexico payments less $11.7 billion in net cash used in its investing activities), more than double the $2.9 billion in the first nine months of 2016. With oil prices expected to remain in the $50-$60 range for much of 2018, BP will continue to generate free cash flow, the financial metric that many investors use as the ultimate thermometer of a company’s financial health. According to the company’s 2016 annual report, its weighted average interest rate on its $56.9 billion in long-term debt is 2.0% for annual interest payments of approximately $1.1 billion. As the company moves forward with asset sales in the fourth quarter, its net debt will continue to shrink. Furthermore, it announced share repurchases of approximately $400 million quarterly at the end of October to reduce the share count that’s drifted higher in the past two years after issuing shares to keep paying the dividend. This is another sign that the company’s financial health is improving after the Gulf of Mexico oil spill and falling energy prices almost put it under permanently. As we head into 2018, BP stock, in my opinion, is the most interesting to own of the big players. Article printed from InvestorPlace Media, https://investorplace.com/2017/12/bp-plc-bp-stock-stands-for-better-profits-in-2018/.